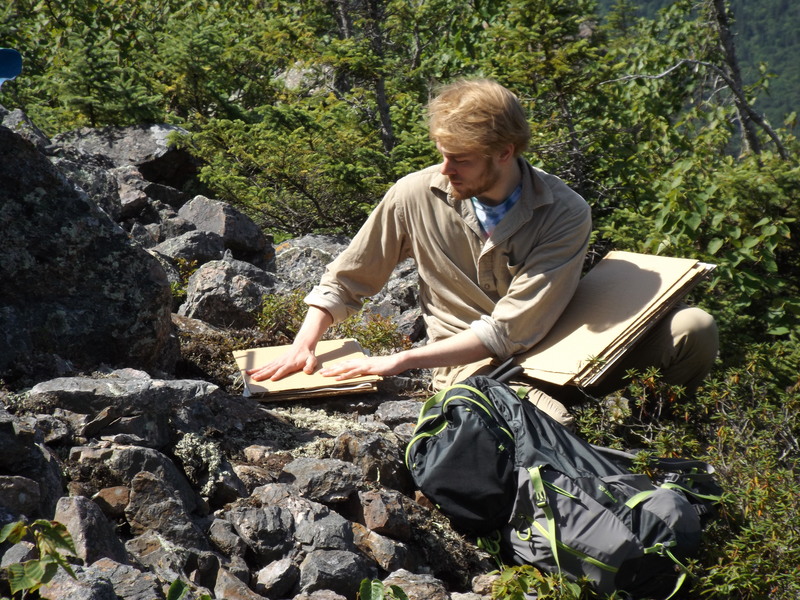 While Aaron Fairweather was searching for an as-of-yet undescribed species of ant, two other members of the day’s Mount Sagamook expedition, Dr. Stephen Clayden and summer student Victor Szymanski, were compiling a collection of all the plant species in a defined area near the summit. 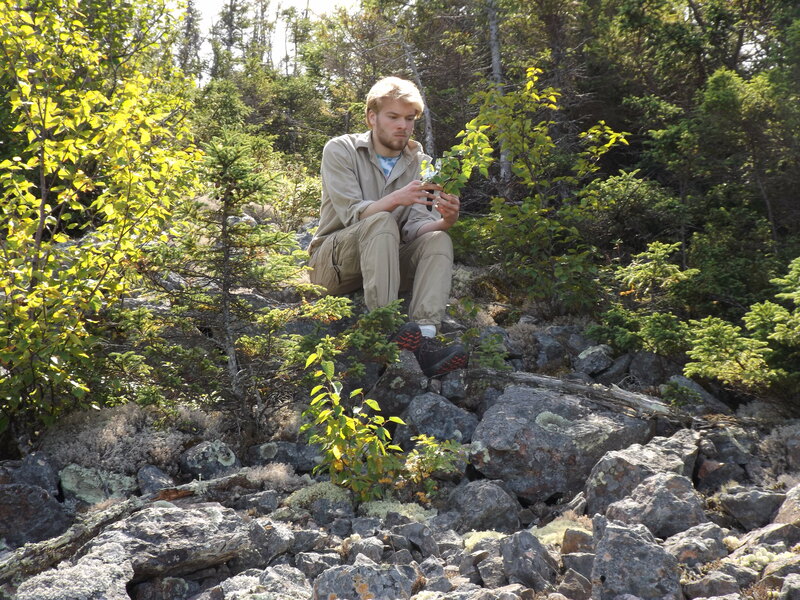 Victor Szymanski collects a birch specimen. Although the species they were collecting are relatively well-known, it fits well with the Biota mandate of building up a collection that documents the diversity of flora and fauna in a particular region. And in this particular area on Mount Sagamook, the species are very diverse. 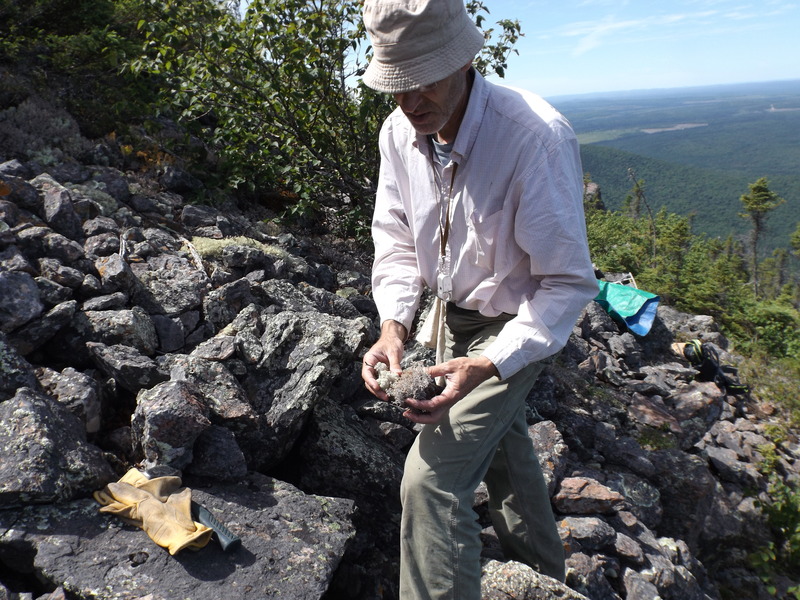 Stephen is able to quickly point out that there could be as many as 25-30 species of lichens on the rocks immediately in front of him. located in the area immediately surrounding him. There can also be new knowledge gained from common species. This new knowledge can be gained by comparing populations with those from other areas. Modern techniques with DNA can also yield new insights. Just because they are common species does not mean that they don’t still have secrets to reveal. Once specimens are collected, they are placed in a plant press and brought back to the lab where they will dry out and be used for further study. back to the lab and dried for further study.